Creative, sustainability wunderkind Joost is at it again, most recently with a pop up Greenhouse by Joost for Melbourne Food and Wine Festival. 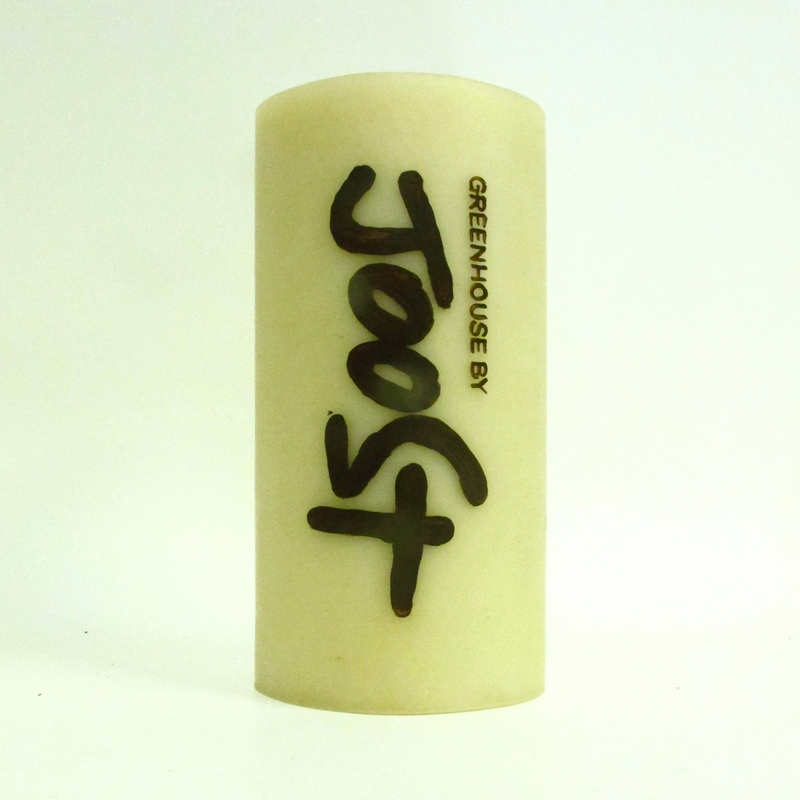 It was a collaboration with Joost several years ago which saw the development of our iconic Eco-Bulb candle. 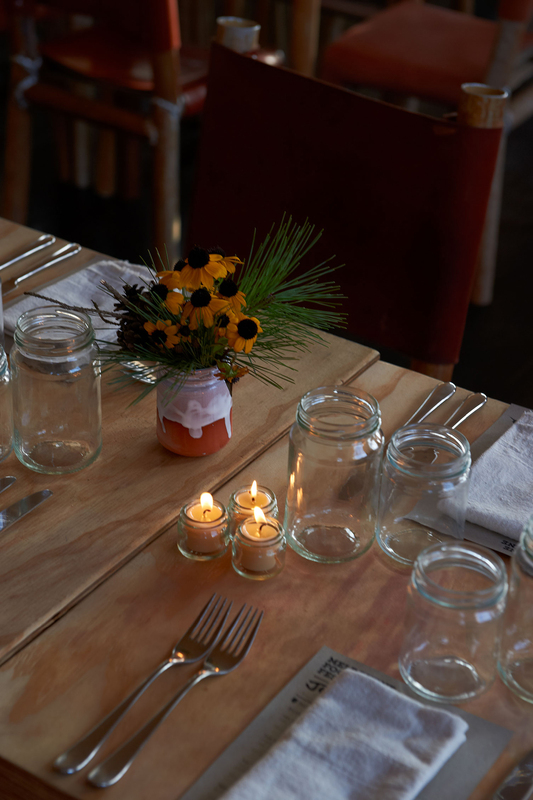 Now, after several months in development, we are excited to lift the lid on Queen B by Joost jam jar tealights. 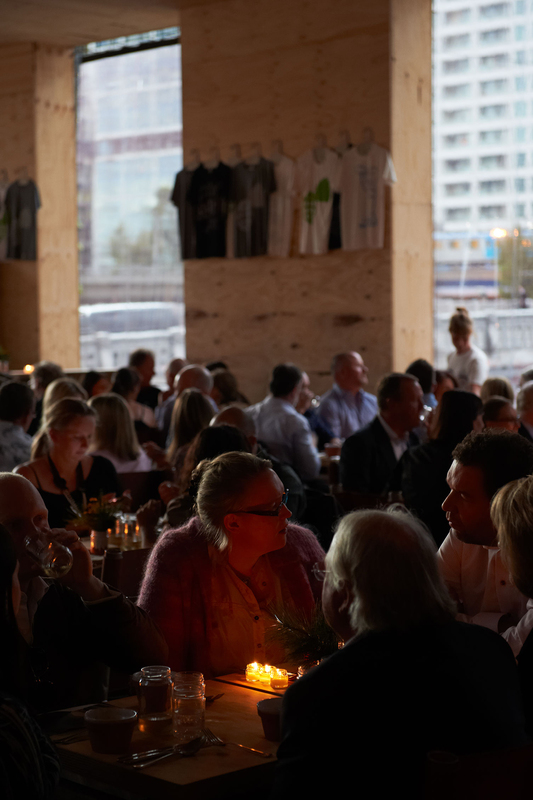 Excitingly for Queen B having worked on wick testing for several months the candles are now in use lighting the pop-up Greenhouse by Joost in Melbourne CBD and the so-grounded-it-practically-still-grows-on-the-plate food of Greenhouse chef, Matt Stone. 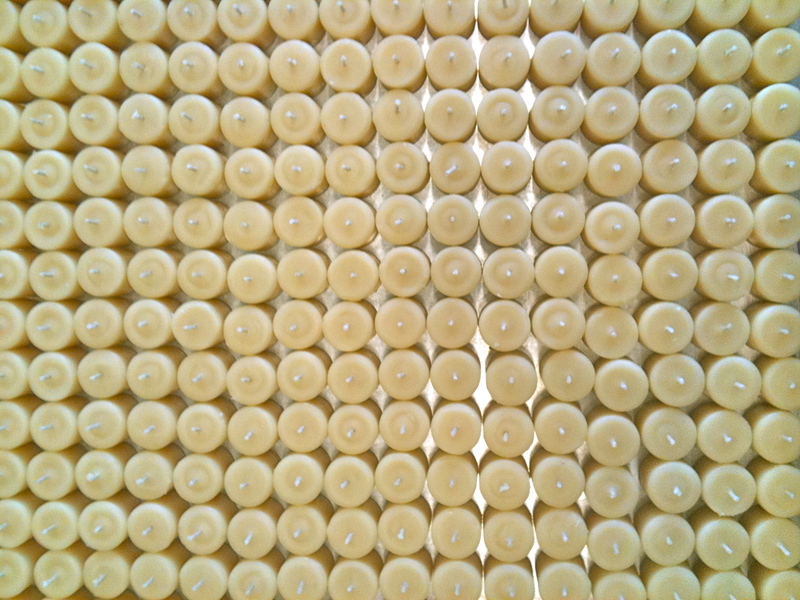 It’s one thing to make the candles, but another entirely to see them working their magic (which is why I LOVE getting photographs)! But here’s where it gets really good… you know how I’m always saying that Queen B candles only really come to life when lit? (if you don’t, well I do, usually to people who are telling me that they are too beautiful to light!). 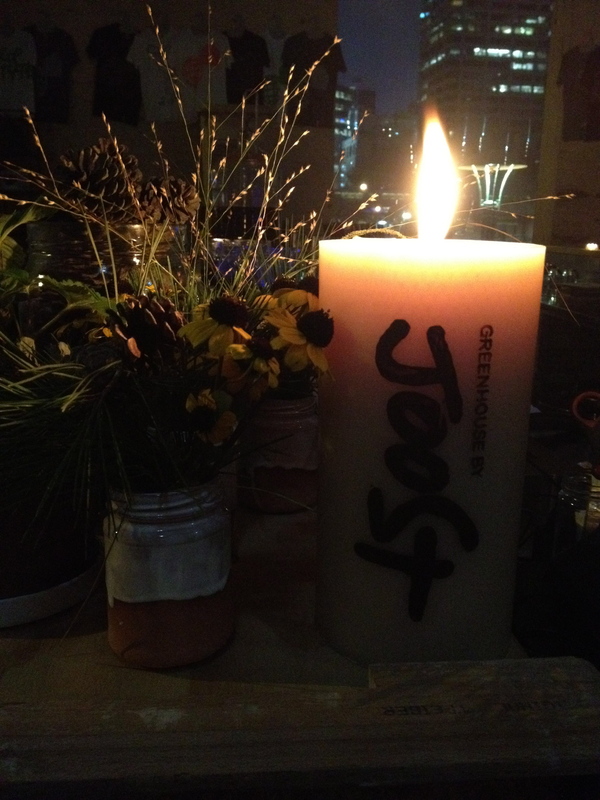 Greenhouse by Joost personalised design pure beeswax candle by Queen B. Lacklustre image by Queen B! Fired up Greenhouse by Joost personalised candle from Queen B. Image courtesy of Georgina O'Connor.